Summer Intern Housing | Conference Services, U.Va. The University of Virginia is pleased to offer short-term summer housing for students participating in internships or other UVA-affiliated programs over the summer! Housing is available from Sunday, May 26, 2019 through Saturday, August 3, 2019. To be eligible for this housing, you must be enrolled as a student at an institution of higher education, and proof of internship must be provided. Please note that you must be at least 18 years old to live on Grounds in summer short-term housing. Guests stay in air-conditioned, apartment-style accommodations in the Copeley Apartments residence area. Each guest will have their own single bedroom with a full-size bed, desk, and wardrobe. Your two-bedroom apartment may be shared with another intern of the same gender. Each apartment contains one and a half bathrooms, a living room, and a kitchen with stove, refrigerator, and sink. All apartments are furnished with a sofa, two arm chairs, a coffee table, two end tables with lamps, and a dining table with chairs. Please note that bedrooms are not equipped with hangers, irons, ironing boards, hair dryers, or lamps (overhead lighting only). Guests are responsible for supplying their own bed linens, pillows, towels, and personal toiletry items including shampoo, soap, etc. In addition, the apartments are not equipped with cooking supplies. Guests are responsible for supplying their own pots, pans, plates, and utensils. Laundry facilities are available in the residence area for guests' use during the summer. Laundry facilities operate by card reader, and are not coin-operated. Individuals with a University-issued ID card may place Cavalier Advantage funds on their ID using one of the cash deposit machines on Grounds. Guests without a University ID may place funds on their Conferences@UVA-issued room access card. Up to $20 in laundry funds may be added. Unused funds are not refundable, but can be used in vending machines or at the UVA Bookstore. A list of locations where you may obtain a card is available at the Cavalier Advantage website. Conferences@UVA does not arrange dining, meal plans, or parking for those staying in our summer intern housing. Please contact Dining Services for meal rates and dates of operation. Parking permits for Copeley are available through Parking and Transportation (434.924.7231). Housing is offered at $43.00 per person, per night. All reservations must be made online with a valid credit card, using the 2019 Housing Reservation link below. Full payment is due upon registration. 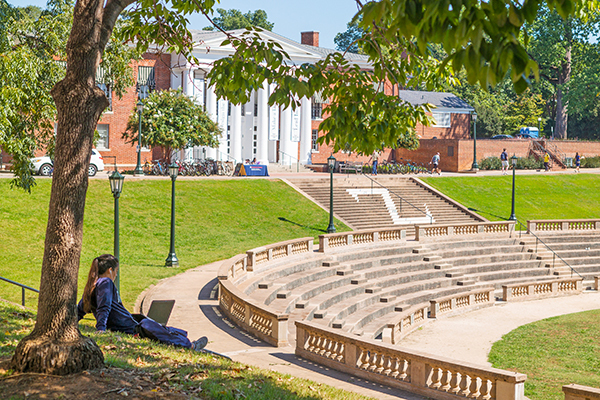 If you require disability-related or medical accommodations, please contact Conferences@UVA directly at 434.924.4479 or conferences@virginia.edu. PLEASE NOTE: Proof of internship is required and will be verified prior to reservation confirmation. Please enter the name of the internship or program, and the contact name and email address for a representative of the program in the Special Requests field on the first page of the registration form. In the event that your internship cannot be verified, the housing reservation will be cancelled, and no bed will be reserved.